Terraces At Glenridge - Meticulously Maintained End Unit Townhome Is Complete With An Open Floor Plan On Main Level With A Covered Patio; The Oversized Master Bedroom With A Nice Covered Deck, Two Walk In Closets, 2 Secondary Bedrooms Both En Suite; Gated Community In Super Location! MLS#6533984. Ansley Atlanta Real Estate, Llc. The Ultimate In Live/Work/Play: Minutes To North Springs Marta Station, 400, Chattahoochee River National Reserve, Fishing, Hiking, Camping, Downtown Roswell, Parks And Restaurants Galore! MLS#6534166. Coldwell Banker Residential Brokerage. Not Fha Condo Approved And Rental Restrictions. MLS#6534425. Re/Max Around Atlanta Realty. Huge Finished Daylight Basement That Features Wine Cellar With Tasting Room, Gorgeous Paneled Bar, Games Space And Guest Suite. MLS#8558914. 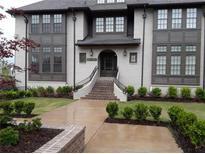 Atl.Fine Homes Sotheby'S Int..
Hammond Heights - Walking Distance Citywalk Including Tons Of Shops, Restaurants & Shopping (Kroger/Whole Foods/Trader Joes/Publix Within 1 Mile) & Ez Access To I-285/Ga-400. Community Grill, Fireplace & Gazebo MLS#6532014. Re/Max Around Atlanta Realty. Accolades - Move In Ready! Perfect 10! Fha Approved Complex. MLS#6532439. Harry Norman Realtors. 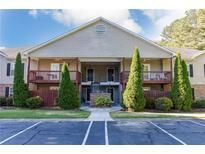 Amenities Include Swim, Tennis, And Racquetball Courts! MLS#6532599. Keller Williams Realty Community Partners. Accolades - Features Of This Fully Renovated Home Include A Large Family Room With Fireplace; Renovated Kitchen With Brand New Granite Counters, White Cabinets; Sunny And Inviting Breakfast Room; Formal Dining Room; Master Suite With Renovated Bathroom With New Granite Counters And White Cabinets; Great Size Guest Bedroom With Private Bathroom! Neutral Colors Throughout. Swim/Tennis Community! MLS#6531954. Weichert, Realtors - The Collective. 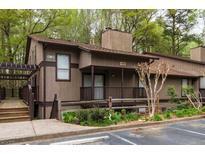 Village Of Dunwoody - This Home Offers Led Lighting Through Out. Call 404-546-7400 MLS#6531786. Engel & Volkers Buckhead Atlanta. Enjoy The Neighborhood Pool And Dog Park Or Take Advantage Of Your Proximity To Top Rated Schools, Shopping And Restaurants, And Easy Access To Public Transportation. MLS#6531275. Southeastern Home Team. Alderwood - Owner Holds A Ga Re License #311818 MLS#6528027. Solid Source Realty, Inc..
Picture Perfect Light-Filled Home Has Gorgeous Views Of Trees From Every Window. Great Opportunity - Won'T Last Long. MLS#6531378. Berkshire Hathaway Homeservices Georgia Properties. Neighborhood Has Tennis, A Pool, A Lake & A Clubhouse W/Workout Room. MLS#6530539. Keller Williams Realty Atl Perimeter. 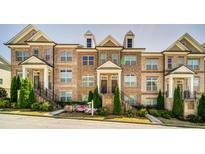 Highlands Of Sandy Springs - Easy Access To 400 And 4 Miles To City Springs Restaurants And Theater. Community Is Gated. MLS#6530405. Weichert, Realtors - The Collective. 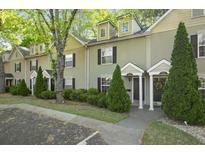 Accolades Is Steps From Marta, Shopping, Restaurants & Include Active Swim/Tennis/Fitness Community. MLS#6530431. Virtual Properties Realty.Com. Minutes To Roswell Mill & Canton St. Lender Credit Of $1,000 Will Be Paid At Closing When Using Shelter Home Mortgage, Please Call Jim Scheu For Details. MLS#6530792. Keller Williams North Atlanta. Spacious 2 Bedroom 2 Bathroom Condo With Vaulted Ceilings In Living Room Area.Granite Countertops Throughout Kitchen & Bathrooms.Tile Flooring In Kitchen&Both Bathrooms,Hardwood Throughout With Carpeted Bedrooms.New Windows & Sliding Glass Door Replaced In 2016.Hvac Replaced In 2015.Garbage Disposal Replaced In 2018.Tile Backsplash In Kitchen Installed 2019.All New Paint Throughout In 2019.Attic Space With A Drop Down Latter Installed In 2018.Plenty Of Community Parking, Clubhouse With Workout Rooms, Swimming Pool & Racketball Court.Gated Community With Onsite Security. MLS#6526443. Briko Llc. Hoa Includes Valet Trash Service, Water, Sewer And Gas. MLS#6530484. Keller Williams Realty Atl Perimeter. 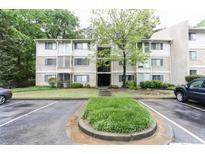 Great For First Time Homebuyer Or Investment Opportunity W/ No Rental Restrictions! Do Not Miss! MLS#6530767. Keller Williams Rlty Consultants. Investors:Add This To Your Portfolio, No Rental Restrictions MLS#6529969. Engel & Volkers Buckhead Atlanta. $5K Cc, Appliance Pkg & 1St Yr Hoa Paid With Preferred Lender. MLS#6529497. Engel & Volkers Buckhead Atlanta. Low Hoa Fees Include Pool, Gym, Tennis, Green Space, Water/Sewer, Trash/Recycling, Building Maintenance. Washer And Dryer Included. MLS#6528025. Keller Williams Realty Atl Part. Terrace Level W/Theater, Billiards/Rec Room, Bar, Gym, Sauna W/Walk Out To Pool, Jacuzzi, Gentleman'S Retreat/Pool House Overlooking Pristine Lake. Non-Motorized Boating. Recently Updated. MLS#8554712. Chapman Hall Realtors. “Notice For All Showings And Inspections: Audio And Video Recording In Effect”. MLS#8554605. Rocket Homes Real Estate, Llc. 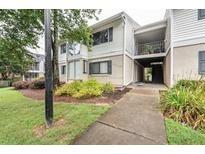 Glenridge Heights - Close To Medical Center, Prado, Perimeter, "City Springs" And Top-Rated Fulton County Schools. MLS#6528759. Atlanta Communities.